A USB flash drive has an astonishing ability to store a large number of data with storage capacity varying from 8MB to 1TB. It's easy to to carry around, without worry of scratching. There are some occasions that you want to making a backup of a Blu-ray's contents to a USB flash drive for convenient playback or management. However, Blu-ray has very heavy copy protection than any other format around and ususally comes with a big size. Therefore, to copy a Blu-ray to a USB Flash Drive, you'll need to find a program that can help you remove the copy protection and rip/compress Blu-ray to digital video files. To finish the task, here EaseFab Blu-ray Ripper is highly recommended. It's the ideal tool for ripping Blu-rays to movies and transferring to USB Flash Drives. It can do all types of ripping at the super-fast speed and use less memory without you having to worry about loss of original quality. 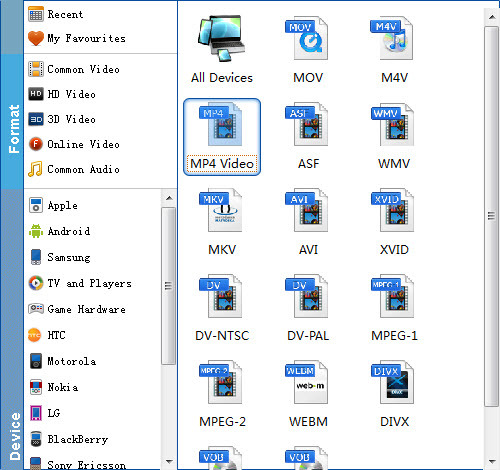 This easy to use tool is not only a wonderful program to backup Blu-ray to USB Drive, but also to rip Blu-ray and DVDs to all the other popular video formats like AVI, MPG, MOV, FLV, WMV, MKV and more. The conversion will allow you to play and share videos on your HDTV, tablet, laptop and more. Besides, it also supports backing up the whole content of Blu-ray and DVDs without losing any data. If you're using a Mac, simply turn to EaseFab best Blu-ray ripper Mac (macOS Mojave compatible), which has the same function as the Windows version. Insert the Blu-ray disc to the BD drive and click the "Load Disc" button to have movies uploaded to the program. Here you can also import DVD discs, DVD folders, ISO files and IFO files to convert. Select the main title and set subtitles/audio language you'd like to preserve. If you do not want to rip Blu-ray with subtitles, please skip this step. Finally, simply click the big "Convert" button to start ripping Blu-ray to digital video files. After conversion, you can click "Open" to find the converted files. Now you can successfully rip and backup Copy Protected Blu-ray to USB Flash Drive Up to the format you wish. 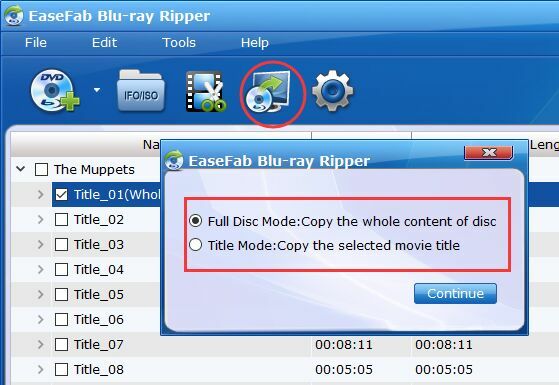 Besides ripping, the EaseFab Blu-ray Ripper also offers enough freedom for all Blu-ray/DVD movie lovers like you to back up your favorite Blu-ray/DVD movies in a personalized way. Two different copy modes: Title Mode and Full Disc Mode are provided to let you copy the exact movie part you want. Just the selected your wanted one.